They had waltzed together so many times it was easy for Elizabeth to immediately relax into the flow of the dance, moving her feet in time with his. Her fingers rested over his evening coat; the muscle beneath tightened and relaxed as they circled among the other couples. She loved Marcus Campbell, but she knew he would never love her, and she could cope with that. Last night she had thought up a reckless plan, and her reckless plan meant that she would have all of him, just for a moment, to savour and remember and then after that she would let him go, and she would be happy. She was grateful for the few weeks she had held this beautiful young duke’s attention, for his courting and his flattery, but it was simply a game to him – shallow. It would become meaningless. This could not last. She had not received the introductions other girls had, her mother was too inattentive, and Elizabeth had hidden behind the plants, or sculptures, for every dance, to avoid embarrassment. Yet then she’d met Marcus. No one had approached poor Elizabeth Derwent until the moment the Duke of Tay happened to pass her hiding behind the potted palms. He had thrown her a broad grin, taken her hand and introduced himself as Marcus Campbell, drawing her on to the floor to dance, and he had not parted from her the entire evening after that. He had chatted to her idly, of this and that, for hours and she had felt herself glow in his company. He made her feel beautiful. All the tabbies had stared in horror, and all the other debutantes looked on with envy. Of course her mother should have stopped it. She should have made some excuse to draw Elizabeth away, but her mother was an ardent gambler, she never left the card room, and of course Elizabeth should never have let him speak to her when they had not been introduced by someone else, but she had been alone too long and those sparkling eyes had been enchanting. If people had not reacted so, then perhaps she may never have spoken to him again, but everyone had looked at her – for the first time in her life she had become visible, envied and in his eyes, beautiful. He had made that very clear. An invigorating power had surged through her blood, as everyone who had ignored her all season looked at her, wondering why the Duke of Tay had chosen her. She had felt alive, for the first time since her brother had left. The heat of Marcus’s palm seeped through the fabric of her gown into her back, and his sparkling, dark brown eyes glowed in the flickering candlelight. From the first night she had ignored everyone’s ill-judgement, lifting her nose up at any whispered comments from the elderly women, the tabby cats, who sat about the ballrooms in their brightly coloured turbans, as though they were the queens of the society. No one but her parents had the right to tell her, no, and her parents did not care, she was not even sure they knew that every time Marcus Campbell walked into a room she stared at him, until he stared at her too, their gazes meeting through the crowd. She had become shameless with him. When he danced and spoke with others, she watched, waiting. Marcus would always come to her in the end, or call her to him, and they always spent more time together than the boundaries of society allowed. His interest had brought her to the attention of other men too, and now she danced to every melody at balls. Thanks to the rakehell Duke of Tay, she had become the fashion. “You look particularly beautiful tonight..” His deep pitch ran across the skin of her neck. 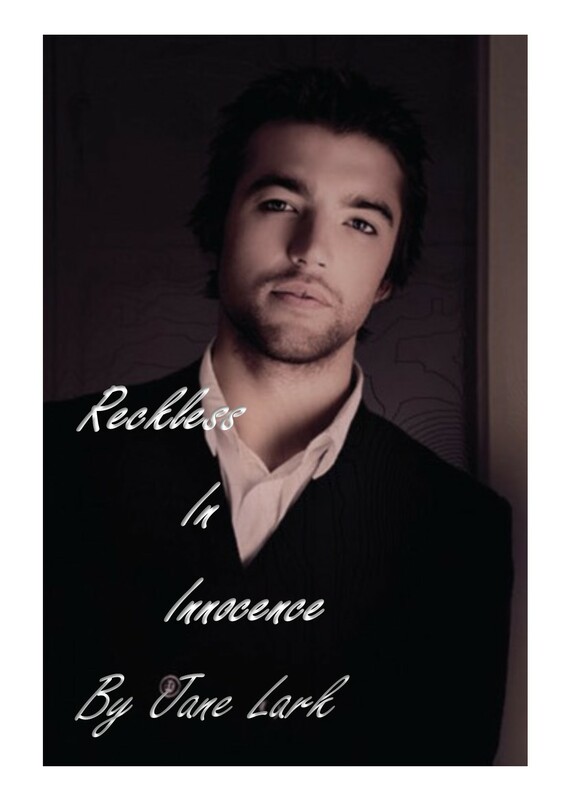 To be in the company of a scintillating, untamed man, like Marcus was reckless and wonderful. “I particularly like the fluidity and the translucence of your dress… it displays your figure perfectly…” He had paid her more and more attention as the season had progressed, and his compliments had become increasingly daring, though he’d never touched her in a way he should not. “Thank you. I love it. Papa bought it for me especially.” Her father saw the garment as an investment. This whole season was merely a business venture to him. “You may have your season but you must find a husband of means, no on else.” He’d said that the day they had left their quiet, silent little manor house to come to London. She had known immediately – she would not even try. Who would take her when her mother was a gambler and her father a penniless drunk, with his head in the clouds of fiction. He was forever speaking of stupid business ventures to make a fortune he could then drink away, and her mother could gamble away. She had come to London only to enjoy the experience – to live a little – to see this world – and then she would run. Tonight she intended to reach the crescendo of her adventure. The time had come for her to fulfil the end of her plan, to escape, to find a suitable position, perhaps as a governess or a companion, and leave the selfish obsessions of her parents behind, just as her brother had done. Marriage had always been for fairytales, she’d never believed she would marry, her father was a baron, but her parents had destroyed his estate. But then she had met Marcus and fallen in love. Oh she was not a fool, she knew there would not be a fairytale ending. He had a reputation as black as tar – and he was a duke – he would not settle on a penniless girl of poor family. Marcus spun her quickly with a twisted smile. 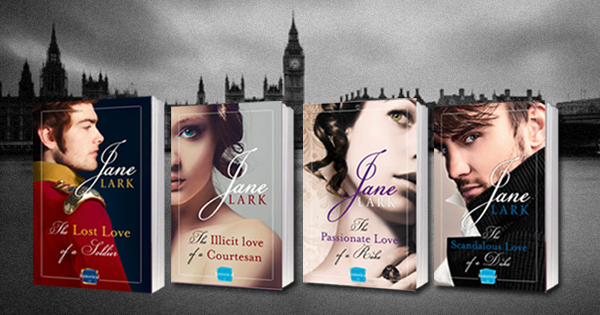 Elizabeth closed the distance between them, a little, feeling the firmness of his chest brush against her breasts. He did not move her away. Instead his fingers slipped a little further across her upper back. She knew how seductive her dress was, the tight small bodice pushed up her breasts and the fabric was nearly sheer and showed off the line of her legs as she moved. She had watched her reflection in the mirror at home, skimming her own fingers across the low cut bodice, and across her bosom, sliding her hand beneath her breasts to touch the seam of the fashionable high waist. She did not look like a debutante, tonight. She looked like a woman of experience. Like Lady Caroline Lamb… and the set of wild woman whom Marcus always spoke with. She wanted to be like them… and tonight she would become like them. She would be as untamed and as free as the Duke of Tay now. Last night his smile had haunted her shallow sleep, and the intensity of her feelings had swelled, she could never cease thinking of him, or seeing him in her mind’s-eye. She loved Marcus Campbell. He may not love her; yet there was no doubt that he liked what he saw in her – his eyes whispered it as they danced, and they had shouted it across the ballrooms of society for weeks – every time he walked into a room he looked for her. So why should she not… Why? Why? Those words had played through her mind all through the night. Just take one chance while you have it. She held his gaze, and the look which had hovered with her all through the previous night was there again. The look that said he wished to devour her… Last night she had realized she wished to be devoured. She wanted to know what it would be like to be loved by Marcus Campbell, physically – if she could know nothing else. It would simply be a brief moment. It could not continue. But this could not continue anyway. In another month or two the season would draw to an end. In the last of the dark hours she had calculated her seduction; trusting that a man with the Duke of Tay’s reputation would not refuse her. Then in the morning she had looked at her father’s paper, when he’d left it on the breakfast table, and scanned the advertisements for positions, then quickly written and posted a letter replying to an advert for a companion to a woman in London. Elizabeth smiled at him, opening her eyes a little wider as he gave her a questioning smile. She knew girls ought be demurring and not look a man full in the eyes. She deliberately held his gaze more ardently, losing herself in the enchantment of the rich, dark brown as he looked back. She pressed even closer to him. Marcus absorbed the distance as though it was nothing for them to dance so close. Her upper thigh glanced against his, and his fingers slightly curved moving the fabric against the skin of her back. His gaze dropped to watch her lips. She breathed in as he watched and then his gaze fell to her breasts as she breathed out. It lifted to her eyes again, while he turned her in the pattern of the dance, holding her close and making her head spin. A single strand of her hair fell onto her shoulder. His gaze caught on that, and then lifted again. Such charming, shallow, but enchanting words. The music began to soften and gradually the dance drew to a close. Marcus spun her one last time, making her giddy with love and want. She wanted him beyond anything. As they stopped moving her body pressed against his. He was warm and solid, muscular and athletic. She did not pull away. Nor did he – for a moment – his gaze holding hers. His hand fell from her back she leant her cheek against his shoulder. “I am so hot, Your Grace. Would you accompany me to the conservatory for some fresh air? It is such a crush in here.” She pulled away then. The stiffness of his body and the look in his eyes implied that his thoughts were entirely attuned to hers. 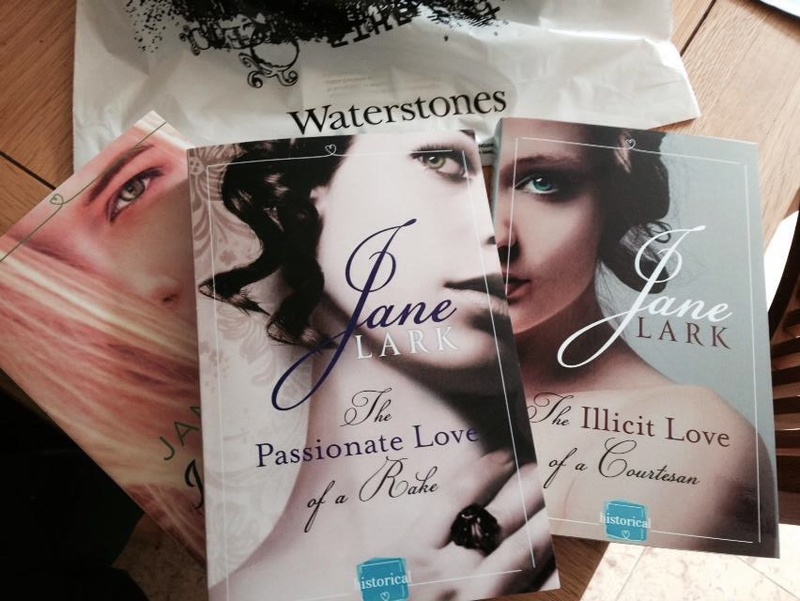 Posted on August 30, 2014 by janelark •	This entry was posted in Books, Regency Stories and tagged Fiction, Historical Romance, Jane Lark, novels, passionate, regency books, Romance, Story, writing. Bookmark the permalink.